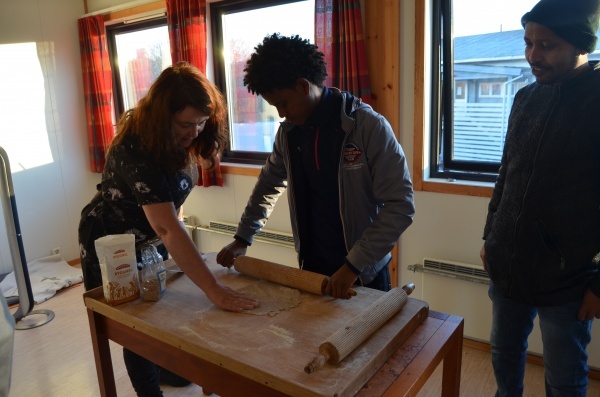 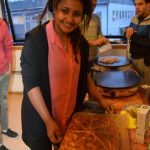 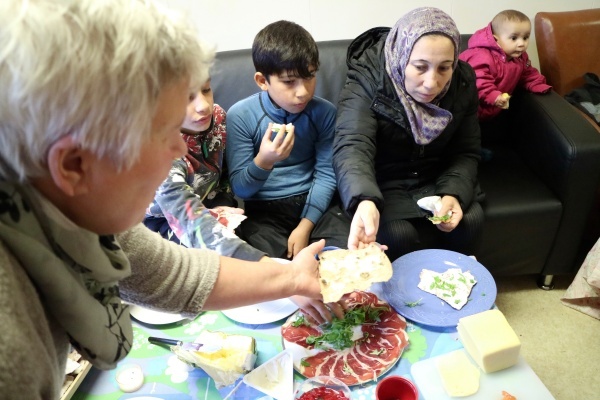 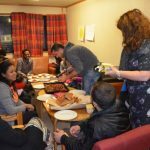 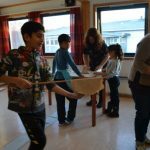 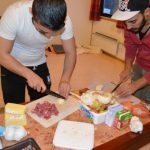 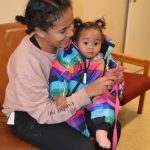 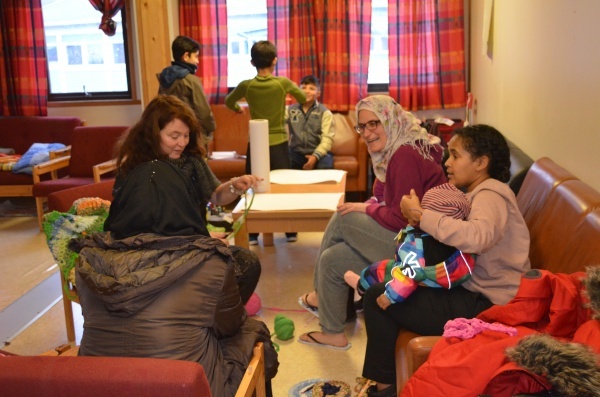 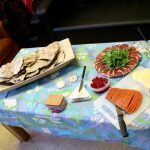 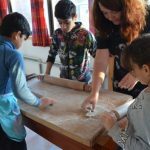 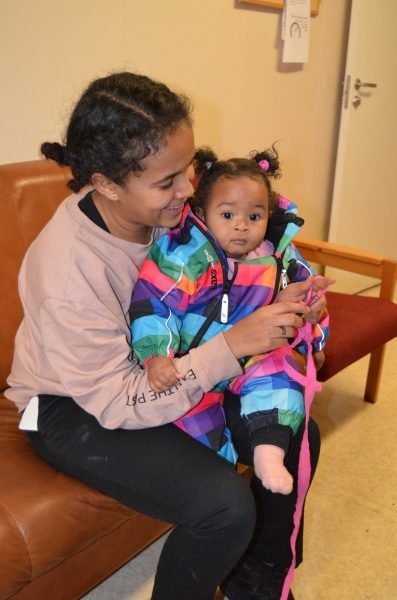 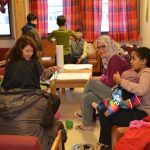 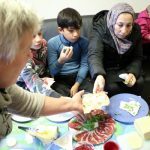 A three day workshop made in collaboration with artist Vibeke Steinsholm, with the aim to integrate and celebrate multi cultural common ground with asylum seekers and refugees at Tverlandet Refugee Centre in Bodø, Norway 10th-12th November 2017. 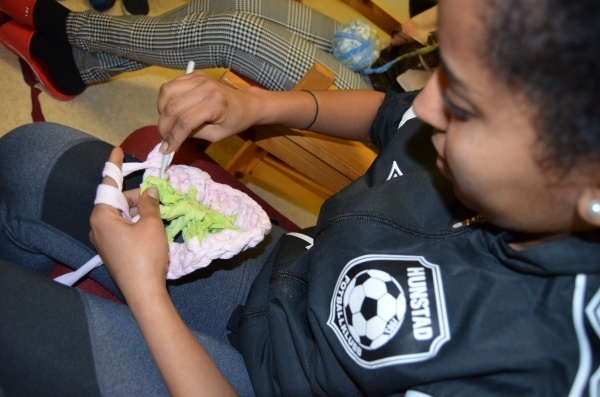 Produced by HATS. 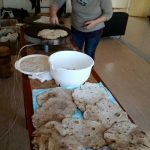 But many cultures have traditions of baking different kinds of flat bread, both leavened and unleavened. 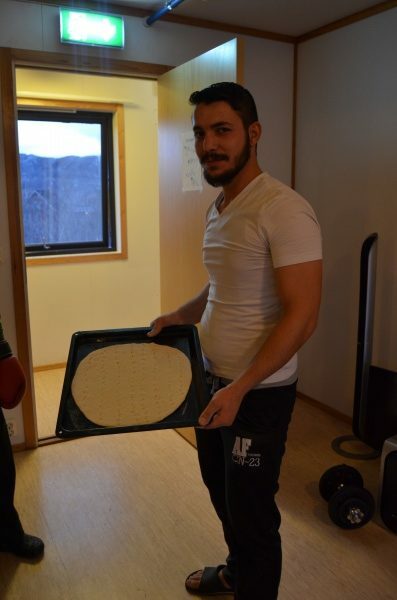 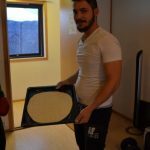 In Syria and many other Muslim countries bake the Arabic flatbread called Khubz. 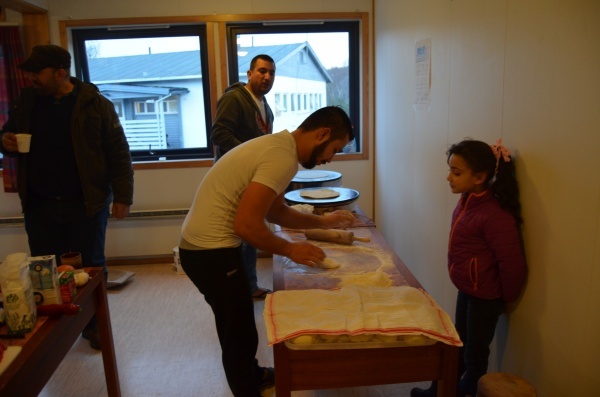 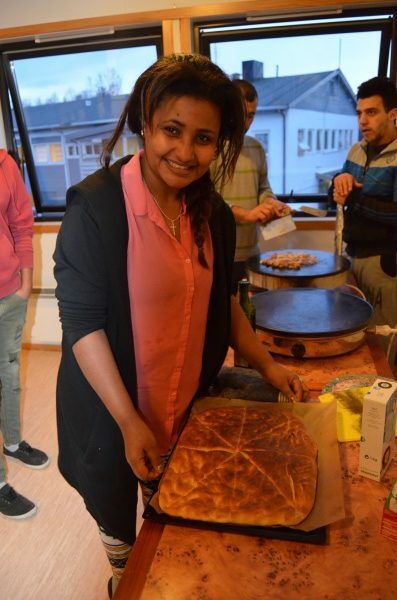 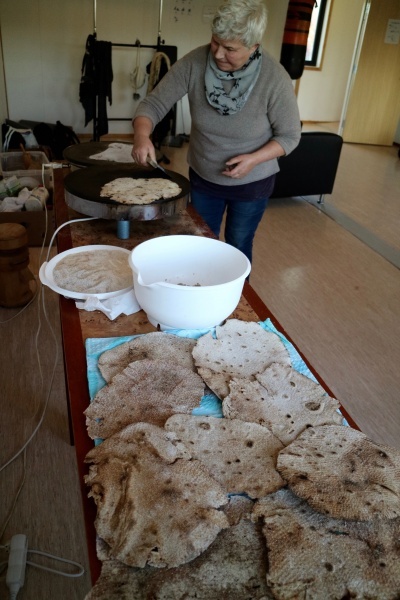 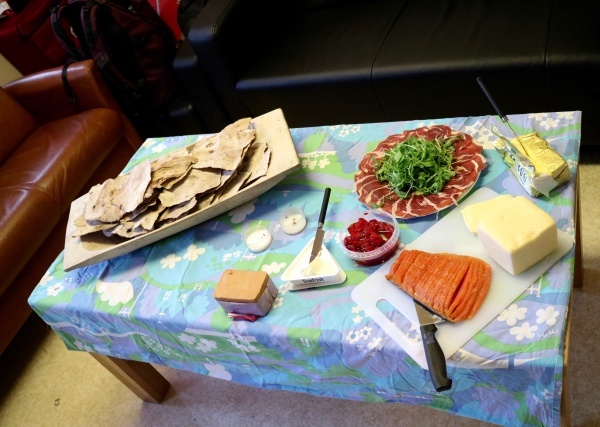 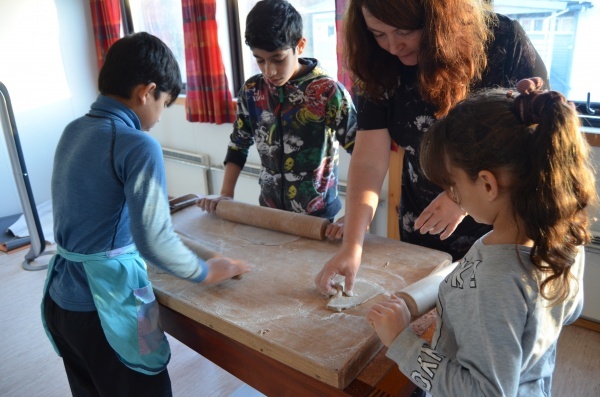 At the workshop we shared and baked different flatbreads from Norway, Syria, Ethiopia and Irak. 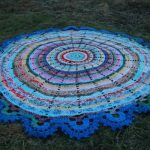 These beautiful, colourful and useful crochet rugs are perfect for making together. 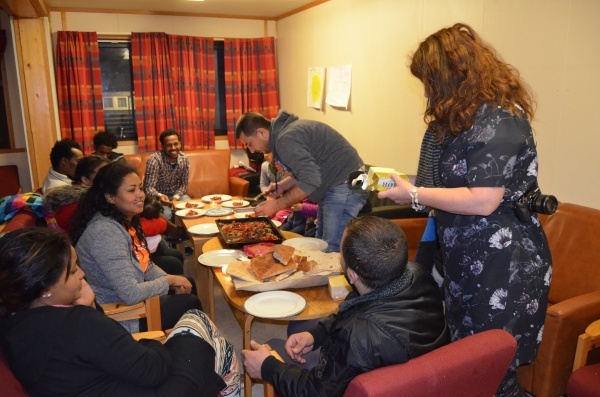 The act of making invites people in to chat and share stories across languages ​​and cultures. 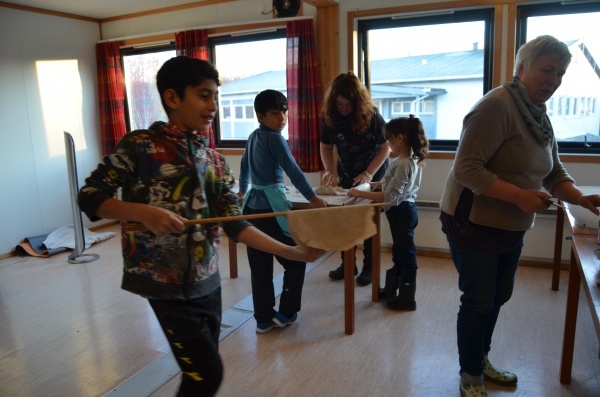 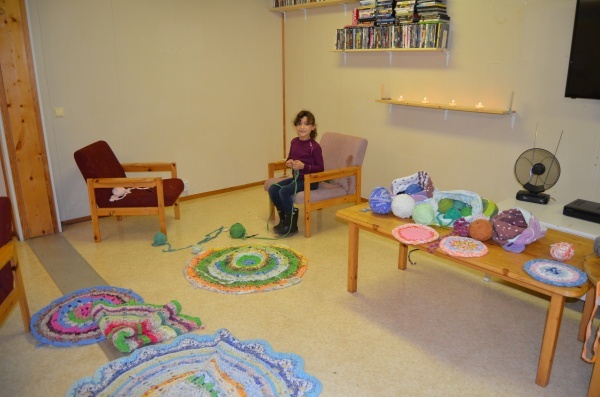 In traditional North Norwegian culture, recycling was ubiquitous and people made rugs from worn out bedding, tights, shirts and even plastic bags. 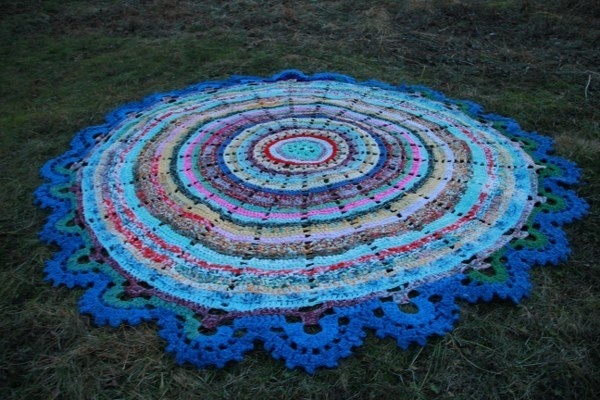 In most cultures the reuse of materials have been central in making crafts. 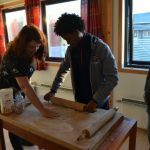 Today, recycling has had a revival as both cool and necessary in view of the environmental impact caused by our increasing consumption. 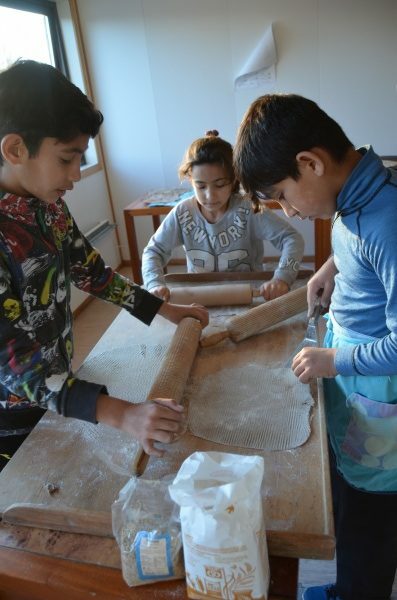 We wanted to revive the traditions within a multicultural setting. 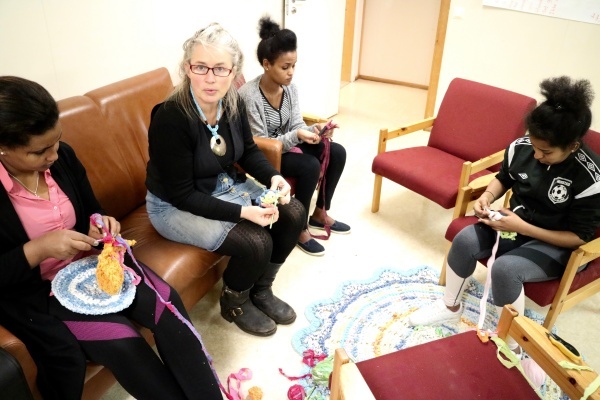 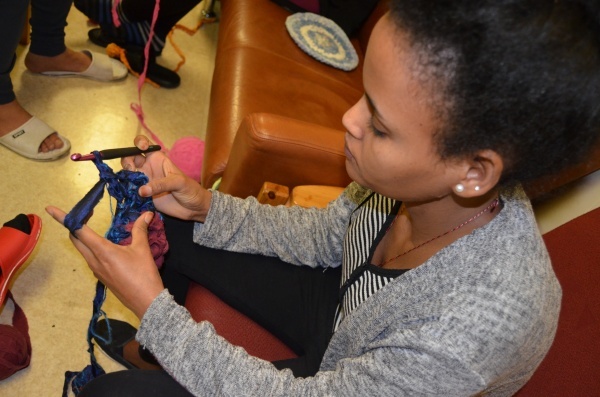 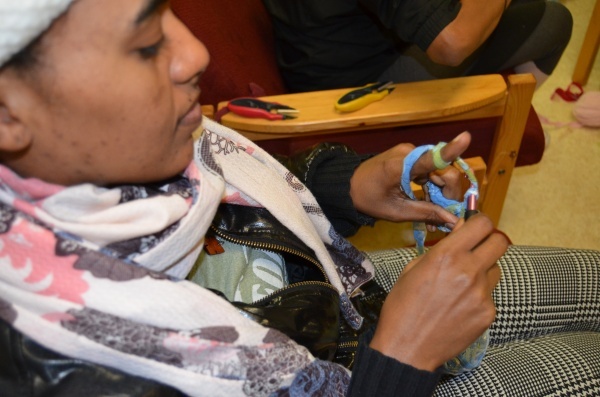 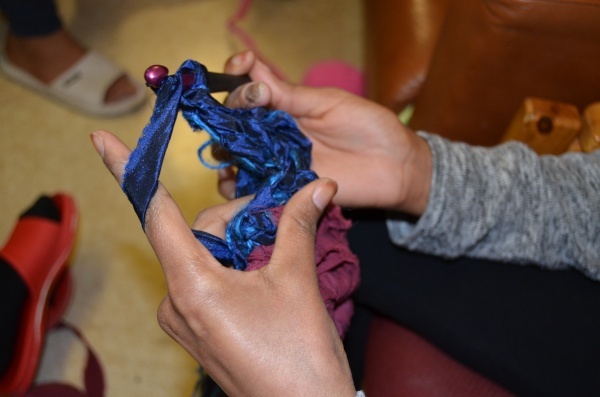 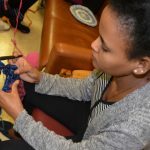 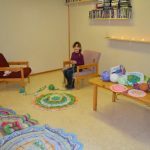 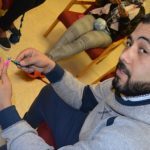 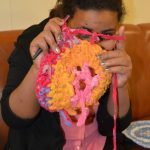 At this workshop, the focus was on learning the basic skills of crocheting and how this method can be scaled up to make rugs. 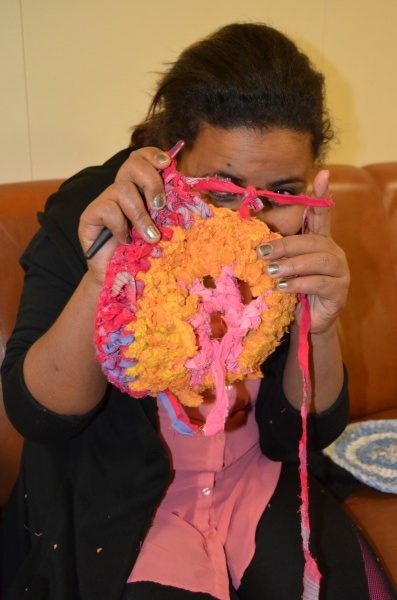 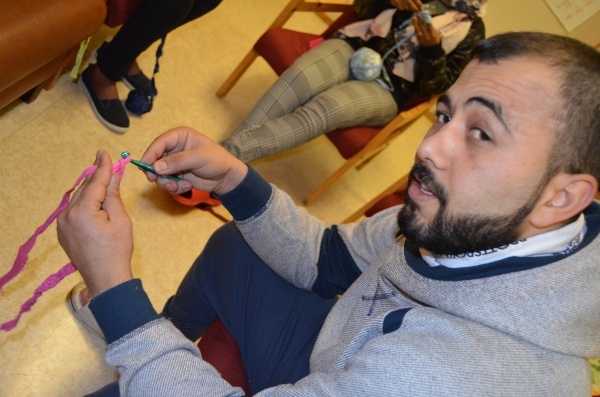 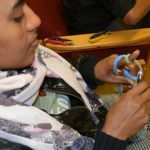 Aesthetic decision making as colour and composition were important ingredients as well as the conversations about handcrafts traditions in the different countries represented by the different participants from Syria, Ethiopia, Irak and Afghanistan.